Maybe you’re in a pinch, a bad situation, facing family turmoil, or simply don’t know where to turn. God, through His Word, helps people just like you and me. 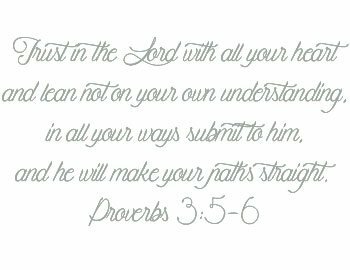 He has guided me often with the Bible. Once, I faced an emotionally charged church meeting, one in which folks were taking sides for various leaders. I walked into the gathering armed with 1 Co. 3–a charge to keep eyes on Jesus and follow Him, not man–and walked out a little shaken but standing firm on the Rock. I was a new Christian at the time and nervous as all get out. God led me to the passage that helped me successfully navigate those choppy waters. Call it our Father’s guidance–or love notes as I sometimes say–every day words packed with spiritual fervor and power given to us for day-to-day life. The Holy book whispers God’s will, paints His picture, points toward good and godly direction, proclaims love, and sets the record straight about Jesus as well as forgiveness. The Holy Bible enables us to stand firm on right choices when impatience, anger, or other emotions attempt to sway us in a dangerous direction. It notes hope, describes God, and proclaims the way for eternity. I get a little giddy when it comes to Bibles. I use one regularly to aid in Bible memory programs like Who AM I?, study topics like forgiveness, and find encouragement for times when I feel left out and battle other finicky feelings. Recently, Thomas Nelson Publishing sent a Bible to review. I think you’ll like it. Allow me to introduce you to The NKJV Study Bible: Full-Color Version. The NKJV Study Bible: Full-Color Version, updated in 2018, is a delightful version. I’ve been using it for my own study recently and LOVE it! You might too. Oh.my.goodness. The sturdy, cranberry bonded leather cover will make a girl swoon. There are additional cover options as well, including leather and hardback. Handy dandy learning tools for better understanding battles and journeys. The concordance quickly became one of my favorite Bible tools as a new Christian. 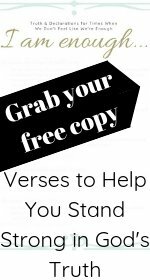 It helps reference verses containing “abundant”, “enemies”, and many other key words. It’s super useful when diving into word studies. Not only are there notes for most verses that take us into deeper understanding of that verse or passage, but there are also colored boxes of additional information along the way that help readers better understand Biblical times and culture as well as charts comparing and listing items or events related to that passage. For instance, a page in Revelation houses one titled God and the Problem of Evil. The book of Ezra offers explanation of “remnant” and “Jews”. This section is probably my favorite. If you dive into word studies like a woman clad in a bathing suit on a hot, summer day catapulting herself into aqua-colored cool waters, then you’ll like the word studies section. Yes, please. If you’re giddy for digging into and studying the Bible like me, consider this one. If you’re a new Christian, uncertain where to turn in the word, or if you’d like to purchase one as a gift to give, grab the NKJV Study Bible: Full-Color Version from Thomas Nelson Publishers. You can purchase the NKJV Comfort Print Full Color Study Bible, Imitation Leather, cranberry here or anywhere Bibles are sold. As a participant in the Blog About Blogger Network, the publisher provided a free copy of the NKJV Study Bible in exchange for my honest review. Only those items readers of KristiWoods.net will likely stamp “helpful” in their faith walk are accepted for this endeavor.